Recognizing the state and economic growth afforded to the Maldives by employees working in the tourism sector, President Abdulla Yameen Abdul Gayoom has pledged the launch of an 'Employment Benefit Scheme', that will provide an opportunity for affordable housing and opportunities to initiate small businesses. 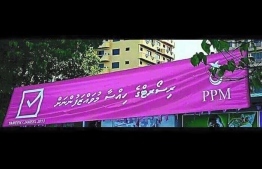 During his speech at a ceremony on Sunday, Yameen declared the money pooled through the scheme will be utilized as a deposit towards acquiring flats in the Male’ region. According to the President, if ample support is received from the participants, Yameen's government has pledges to allocate a special clause in the coming housing projects specially for resort employees.In addition, interested parties may acquire shares from companies, invest in businesses and use the money for integrated tourism. Speaking at a ceremony to commemorate the opening of 50 futsal grounds, the president further elaborated on the subject, estimating that roughly 18,000 youth are currently employed in the tourism sector and that he expects the number to rise two-fold in the future. Hence, the scheme is aimed at fostering and retaining youth employment in the sector. "This scheme benefits employees as they will obtain the seed money to secure housing. 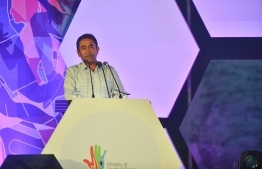 Interested parties will be able to pool a portion of their monthly income to purchase a flat in the Male’ region, but if need be, they may also use the money to construct a house or room in their respective islands”, said Yameen. The President declared participating in the scheme as non-mandatory and up to the individuals volition. The resort is to contribute an equal amount per head for those who participate in the scheme. Expressing his belief that as the country's economy expands, new resorts will pop up, driving demand and opportunities for youth into the tourism sector, he staunchly declared that resorts are sure to endorse the scheme. President Yameen has faced criticism for failing to fulfill his initial pledge during the 2013 presidential elections, at which time he claimed that resort employees will be made to receive shares from their respective resorts. A number of individuals have proceeded to demand that the president fulfill his intial pledges before progressing towards new commitments.